THERE was a time when men were first getting into skincare – and had to face down the stigma of being vain or even effeminate. 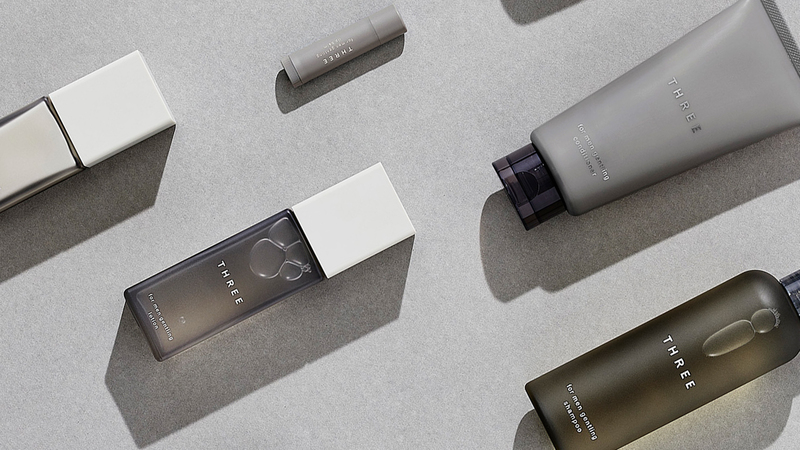 Fast forward to 2019: It is time for the men to step up their skincare routine beyond the usual three-step regime. You already know why having a clean visage is important to creating good first impressions. Our skin is a very good indicator of our health. If you have been wondering why friends and colleagues have been asking if you are ill or if you are not sleeping well, maybe it is time to take a second look in the mirror. Think of it this way: adding a few more steps to your existing routine will level up your complexion from decent to glowing. Look the best you have ever been, and you will thank yourself for putting in the extra effort. This is a warm welcome to your skin care bible. First, it is important to discern what kind of skin type you have. Understanding which category your skin falls in, be it due to hormonal changes or genetic disposition, will give you a better idea of how to achieve a clear, satisfying complexion. The sweet spot amongst all the skin types. You have your share of oiliness and dryness, but you won’t find them excessive and they are fairly easy to resolve. However, this is not synonymous with having perfect skin (you wish); you will still need a consistent skin care routine to take care of the occasional blemishes. Many will fall into this category. Men with oily skin will see their faces glistening in the mirror, and acne outbreaks are commonly associated with it. More oil means an increase in sebum production, resulting in enlarged pores and more blockages with bacteria. Using products to dry out the skin will instead trigger more oil production, making it worse. Reach for gentle exfoliators to remove dead skin cells trapped in your pores, and oil-free moisturisers to keep your skin properly hydrated. If you have scaly patches of skin or a flaky complexion, your dry skin will likely feel tight, especially after washing your face. However, this does not mean your skin lacks moisture. Rather, it benefits more from oil-based moisturisers for better hydration. Simply put, it means having oily skin on some parts of the face like the T-zone and dry skin everywhere else. It can be difficult to treat, needing to care for both the oily and dry parts of your face, but if you’re wondering what kind of products can help you, this three-in-one Aesop kit gets the job done for you, from cleansing to moisturising. Aesop Balance: Classic Skin Care Kit for combination skin. Many still wonder what the real properties of toners are, and the speculations are going to be put to rest once and for all. Toners can help tighten your pores after cleansing, reducing the penetration of the dirty things in the atmosphere entering your skin. It also balances out your skin’s pH levels, enabling your moisturisers (which you apply after) to work more effectively. It is time to include toners in your grooming routine if you haven’t already done so. Kiehl’s Calendula Herbal-Extract Toner ( Alcohol-Free ), available at various Kiehl’s outlets. These products are capable of delivering powerful ingredients directly into the skin. Whether you want to treat fine lines and wrinkles or give yourself some much-needed hydration, this step is essential for you. Clinique Daily Booster with Pure Vitamin C 10% and Overnight Booster with Pure Vitamin A ( Retinol ) retails at S$52 at Sephora stores. Clinique features two boosters – one for daytime with Fresh Vitamin C (Ascorbic Acid 10%) and one for nighttime with Fresh Vitamin A (Retinol) – that work synergistically, helping with skin repair and rejuvenation. Three For Men Gentling Emulsion, 100ml S$109, available at Takashimaya and TANGS at Tang Plaza. This Three For Men Gentling Emulsion when applied on the skin helps form a moisturising barrier to prevent dehydration and controls excessive sebum production, leaving the skin feeling fresh and soft to the touch. No, stop saying that sunscreen is for wusses. Protection against the sun is paramount. There should be no playing around when there are UVA and UVB rays in the atmosphere. UVA gives you wrinkles and is what makes you age faster, whereas UVB is what gets you your sunburn when you want to get your tan at the beach. Wait, there’s more – UV rays are also carcinogenic (meaning they can cause cancer), which is why proper protection against them is a must. You wouldn’t want to miss this step before it is too late. Sunscreens vary in SPF, and it is imperative you choose the right one. In sunny Singapore where summer is 365 24/7, SPF 50 will do just fine. Our pick is from Kiehl’s – its sunscreen is fast absorbing and leaves an invisible finish, instead of a tacky white cast. Kiehl’s Ultra Light Daily UV Defense, available at various Kiehl’s outlets. This sounds corny, but fantastic skin also starts with our diet. The age-old adage ” You are what you eat ” has a modicum of truth. Fruits like tomatoes are high in lycopene which helps fight free radicals that break down collagen, mending the wrinkles and fine lines around your tired eyes. Avocados contain poly- and monounsaturated fatty acids, which keeps your skin moist and guarded against sun damage, so be sure to include these in your intake. In today’s day and age, men investing in their appearance is hardly a controversial issue. In the end, skincare is really all about taking care of your health, and nothing is sexier than that.